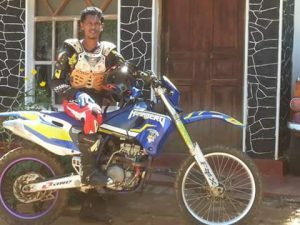 Motorbike rider A.D Sampath Udaya Kumara is an upcoming race rider who has lots of potential to do well in Sri Lanka and at the international levels. 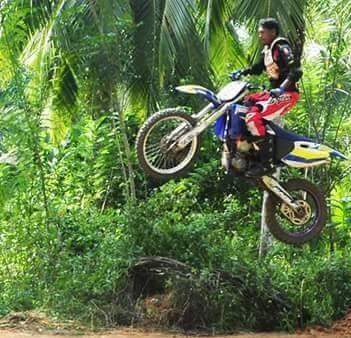 A past pupil of the Kirinda Puhulvalla Central Collage, Sampath has done motorbike stunts in two films and has taken part in several motor bike races in Sri Lanka. This 38 years old rider started his racing career in 2010 by participating in Calton motorcycle event in Thissamaharama, Sri Lanka. 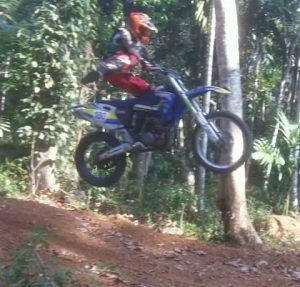 After that event he has taken part in many track events such as Udavalava race, Fox Hill race, Diyathalava motorcycle event, AMA and Nuwara Eliya race. His dare devilled attitude for life has made him do motorbike stunts and the experience in doing stunts in one Sinhala film and Indian film has created more interest in getting engaged in track events and other races. At present he is working at the Sri Lankan Port Authority and has been an employee for 11 years. He is a member of the Sri Lankan Port Authority Sport Club and the Club plans to sponsor him for few races in 2018. 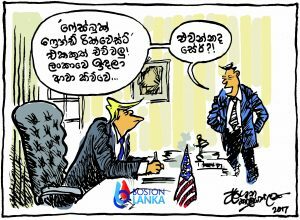 These days he is busy practicing to do a backward roll stunt for the first time in Sri Lanka. He hopes to visit USA to watch some motorbike racing events and get trained in USA on flat track or 10 training tracks. He is slowly building a fan base who appreciate and enjoy his extraordinary stunts and the passion he shows on the track. He was also adored by the Sri Lanka motor racing fraternity as a kind hearted and fun loving person.